We’d love your help. Let us know what’s wrong with this preview of The Trick to Time by Kit de Waal. Each new doll takes Mona back to a different time entirely - back to Birmingham, in 1972. Back to the thrill of being a young Irish girl in a big cit Mona is a dollmaker. She crafts beautiful, handmade wooden dolls in her workshop in a sleepy seaside town. Every doll is special. Every doll has a name. And every doll has a hidden meaning, from a past Mona has never accepted. To ask other readers questions about The Trick to Time, please sign up. Mona is a little girl who wants to play on the beach instead of spend time with her sick mother. Perfectly natural for a child. The story follows Desdemona, Mona, a young Irish girl, only child, and young William, a young Irish lad she meets when she leaves her widowed father at home to try her luck in England. They are a happy pair, absolutely penniless, but so content in each other’s company. They are like a pair of puppies, rumbling and tumbling and cuddling and walking hand-in-hand without a brass razoo between them, as the saying goes in Australia. How can you not have a chuckle? But tragedy struck her in her youth (why does it always ‘strike’, I wonder? ), and the adult Mona is alone. For readers who don’t live in the UK or Ireland, it’s easy to forget how violent things were for the Irish in England. We can be dreadful to each other for all sorts of reasons, can’t we? She now makes dolls of a quite specific nature. They seem to be made according to some baby’s birthweight, and the clients are sent by a counsellor of some sort. Mona simply chats to them a bit, draws them out, and finally asks for a weight. We have to figure this part out ourselves. There is a carpenter not far away who is pretty taciturn but meticulous with his selection of the right colours and weights of timber for each doll, depending on how light or heavy, how pale or dark Mona wants. He won’t take “payment” as such, but she manages to reimburse him somehow. It’s an odd relationship, but it works, and Mona spends a lot of time painting the dolls and making intricate clothes. Meanwhile, Mona often wakes early, goes to her window, high above the street with her coffee, and one day notices an older gentleman in a nearby building doing likewise. He nods, they salute cups, and they gradually develop a relationship. He is a dapper German, while she tends to be more casual. He calls by unannounced one day, and she’s in old clothes with paint-spattered arms from working on a doll. He sits on the sofa and she joins him. I think anyone who’s lived alone (or doesn’t have visitors to speak of) will identify with this. I, too, have a comfy armchair with everything, including all digital devices, at hand, and it’s been referred to as my “nest”, which it very much is! But yes, it is a bit of an embarrassing mess sometimes. As an adult, Mona still loves the beach and the sea, although the kind of weather there doesn’t appeal to me. There was a place in the early part where I thought this might end up some kind of cloying romance, but I very much enjoyed the author’s earlier My Name is Leon, and I know her background in Social Services, so I trusted there would be more to it. And there was. I do hope the finished version has clearer breaks between chapters or sections, as the preview copy didn’t. It wasn’t all that hard to tell which part of her life we were in, but it helps me to have a demarcation. I very much enjoyed this and am looking forward to her next one, as I’m sure others will, too. Thanks to NetGalley and Penguin Books/Viking for the preview copy from which I’ve quoted. Dem Nice review Patty, I have read My Name is Leon by this author so will check this one out too. PattyMacDotComma Dem wrote: "Nice review Patty, I have read My Name is Leon by this author so will check this one out too." Thanks. Same reason I read it, Dem. I enjoye Dem wrote: "Nice review Patty, I have read My Name is Leon by this author so will check this one out too." Mona is a doll maker. She crafts beautiful wooden dolls in her workshop. Every doll has a name. And every doll has a hidden meaning., from a past Mona has never accepted. Mona is approaching sixty years old. She creates wooden dolls with the help of the local carpenter. The story jumps from the present to Mona's past as a young girl/woman., when she falls in love with William. They both leave Ireland for a new life in Birmingham. But things go wrong the night of the IRA bombings. There is a fanta Mona is a doll maker. She crafts beautiful wooden dolls in her workshop. Every doll has a name. And every doll has a hidden meaning., from a past Mona has never accepted. Mona is approaching sixty years old. She creates wooden dolls with the help of the local carpenter. The story jumps from the present to Mona's past as a young girl/woman., when she falls in love with William. They both leave Ireland for a new life in Birmingham. But things go wrong the night of the IRA bombings. There is a fantastic bunch of characters in this book who rallied round in Mona's time of need. This is a beautifully written and emotional read. This is the first book I have read by Kit de Waal but I have already downloaded three of he books to my kindle. I do recommend this book!! I love it when a novel surprises me. I’m not specifically talking plot twists – although, this book does have a big one towards the end which I didn’t anticipate. It’s more that feeling when I’m reading a book and the writing is fine, but I’m not sure I see the point of the story. But then it gets to a section where it emotionally grips me and breaks my heart and pieces it back together bit by bit. The best example of this I always go back to is Colm Tóibín’s “Brooklyn” which made me flip and fa I love it when a novel surprises me. I’m not specifically talking plot twists – although, this book does have a big one towards the end which I didn’t anticipate. It’s more that feeling when I’m reading a book and the writing is fine, but I’m not sure I see the point of the story. But then it gets to a section where it emotionally grips me and breaks my heart and pieces it back together bit by bit. The best example of this I always go back to is Colm Tóibín’s “Brooklyn” which made me flip and fall in love with it halfway through. But now I can say the same about Kit De Waal “The Trick to Time”. This novel slides effortlessly between the early and later life of Mona, a girl from Ireland who eventually moves to England and spends many years making elegant handcrafted dolls as well as emotionally assisting bereaved women in their grieving process. It’s a deceptively simple story that makes big statements about loss, relationships and the power imagination can play in rescuing us from the ravages of time. If I can summarise the book very shortly, I can tell it's emotionally moving and heart breaking. It's well written, touching your heart. Mona is our main character, who falls in love with William at a very young age, and they get married. We start listening to the story from her when she's stepping into her 60th birthday and she's reflecting on her past. We go back and forth to different periods of her life and try to bring the pieces together to learn about her current state. She runs a doll s If I can summarise the book very shortly, I can tell it's emotionally moving and heart breaking. It's well written, touching your heart. Mona is our main character, who falls in love with William at a very young age, and they get married. We start listening to the story from her when she's stepping into her 60th birthday and she's reflecting on her past. We go back and forth to different periods of her life and try to bring the pieces together to learn about her current state. She runs a doll shop and also helps women cope with tragic losses, knowing what it is herself. I love books in which we go back and forth in time to complete a story. So, I enjoyed it s lot. And I enjoyed De Waal's writing a lot. It was beautiful and moving. I didn't see the twist at the end of the book. That was a big surprise for me, which I thought was very clever. I loved Mona as a character. The only criticism I have for the book is, it felt a bit incomplete by not knowing the story from William's side. I really would have loved to know more of what he's been through and how he ended up where he did. I felt it was a bit disorganised and there were gaps where we could get more out of the story completing the picture. But, overall, I really liked the book and Mona's story. I read this book due to its longlisting for the 2018 Women’s Prize. The book is written from the third party viewpoint of Mona, starting just before her sixtieth birthday in an English seaside town where she runs a toy shop and an internet business selling hand-made dolls, crafter by a local carpenter (a loner with whom she has an ambiguous relationship) and then painted by her and beautifully dressed in clothes she makes from second hand clothes. At the book’s start she spots an elderly and seem I read this book due to its longlisting for the 2018 Women’s Prize. At the book’s start she spots an elderly and seemingly elegant man in a flat opposite and the two start a slow-burning friendship, marked by the man Karl (a German, who over time reveals that his almost lifelong friend - a rich man - died recently) who is as dapper and refined as she first imagined him. Their relationship becomes more awkward as they explore it turning into more of a relationship (Mona’s ambiguous relationship with the carpenter seemingly being one of the blockers). Occasionally her shop is visited by women sent by a counsellor - reluctantly revealing a birth weight to her and giving her a precious keepsake. We quickly realise that Mona gets the carpenter to craft a doll in the weight of the women’s stillborn baby and uses the doll (which inevitably reminds them of holding their bay shortly after its death) to help them to therapeutically explore the life their child might have led. Mona looks back across her life: her mother dies when she was a child just before which her father urges her to make the most of her time with her mother and shares his trick of time (“You can make it expand or make it contract. Make it shorter or make it longer” - as Mona later adds “You can make the most of what you have”); later when she emigrates to Birmingham from Ireland in the 1970s, meeting and marrying William and becoming pregnant with his child (something William panics about - seemingly concerned he will be as bad a parent as his own largely absent and often mentally ill father). A key part of the book is Mona’s habit of invention and her clear affinity with those who will share that habit with her: of imagining with a quite joy the future (as she does with William when they are first married - walking past rich houses and imagining the life they would lead there); or exploring a possible alternative present (with Karl she visits an antiques fair and the two pretend to be living in a house containing the antiques); or most poignantly re-ineventing an alternative past (as she does with mother’s of still born babies and at the book’s end with her own child). A middle-of-the-road read. Good, not great. Very lukewarm feelings about this. When I started The Trick to Time, I was optimistic. I loved the polished, concise writing style. I was intrigued by the fact that its protagonist was a doll-maker (how cool is that!). As the novel's story progressed I was like okay, this could be interesting. let's wait and see how this pans out. So I waited, and waited, and then waited some more, but the standout moments I wanted to see just never materialized. Even w A middle-of-the-road read. Good, not great. Very lukewarm feelings about this. This is a novel that makes you think and it packs a lot of feeling and depth of emotion into less than three hundred pages. We meet Mona, in her present situation, coming up to sixty years old and living alone in a seaside town and creating and decorating special wooden dolls for her shop with the help of a local carpenter, each doll with a significance, and we meet Mona in the past, as a little girl in Ireland and then as a young woman in Birmingham in 1972, just starting to make her way in the This is a novel that makes you think and it packs a lot of feeling and depth of emotion into less than three hundred pages. We meet Mona, in her present situation, coming up to sixty years old and living alone in a seaside town and creating and decorating special wooden dolls for her shop with the help of a local carpenter, each doll with a significance, and we meet Mona in the past, as a little girl in Ireland and then as a young woman in Birmingham in 1972, just starting to make her way in the world, and falling in love with young Irishman William, marrying and falling pregnant, and the tragedy that ensues. The threads of Mona's life are intermingled throughout the narrative, taking us back and forth, moments from the past becoming memories and reflections in the present, with the most heartbreaking moment of all becoming a memory that has been too hard to confront. In The Trick to Time, Kit de Waal writes of many things, of falling in love and the joy and happiness it can bring, of loneliness and terrible sadness and immense loss, grief that lasts a lifetime, of mental health and the hidden, mostly invisible nature of this pain, of leaving home and the connections to where we come from, memories that haunt us, the excitement yet also the anxiety and doubt surrounding the forging of new relationships whilst still feeling the bonds and pull of the past strongly. How, when there is one thing above all else in the world that hurts us to think about or see, that is so often the only thing we can seem to see and notice in the world around us. Such a moving tale, I felt such sadness for Mona and for William, for what happened in their young lives. Sometimes I felt I wanted to be drawn closer to some of the characters surrounding Mona, but this is very much her life and her story. I feel I preferred My Name is Leon to this novel overall but admired qualities in the writing of both. Towards the end of last year I wrote about books I was looking forward to reading this year. Kit de Waal's new book, The Trick to Time, was among them. I loved her previous book, My Name is Leon, but I absolutely adored reading this wonderful book. "One day, you will want these hours back, my girl. You will wonder how you lost them and you will want to get them back. There's a trick to time. You can make it expand or you can make it contract. Make it shorter or make it longer." Mona is approaching Towards the end of last year I wrote about books I was looking forward to reading this year. Kit de Waal's new book, The Trick to Time, was among them. I loved her previous book, My Name is Leon, but I absolutely adored reading this wonderful book. Mona is approaching her 60th birthday and is a dollmaker. She lives a solitary life with only a few friends. She works with a carpenter who makes the dolls, to very exact specifications, while she creates their clothes and paints their features. Many of the dolls she makes have a hidden meaning known only to the people who buy them. Mona arrived from Ireland as a young girl, so excited to be living in Birmingham and with a new job. When she meets William at a dance, it is love between them almost instantly and they soon marry. A tragedy tears them apart and woven through the chapters of this book, Mona looks back at significant moments in her own and their life together. In Mona, Kit de Waal has created a character I think many women can empathise with. She has known hardship, has known joy and has known great sorrow and loss. The subject matter may be very close to home for many women and for that reason might be difficult for some to read as it could bring back painful memories. It was at times hard to read as I knew that something terribly sad was going to happen. Yet, Kit de Waal has written with such insight and sensitivity that the book is never overly emotional but instead is moving and powerful. Although Mona is the main focus of the book, it would not be right to review this without mentioning just some of the other characters who add so much to the story. In particular, William's aunts Teresa and Margaret, (who he dubbed Pestilence and Famine!) proved to be a true support to Mona in her time of need, as did Bridie a family friend. The compassionate Nurse Archer showed much emotional intelligence at a time when women who had experienced loss were just supposed to get on with things. A simple but beguiling story. 4.5 stars. In The Trick to Time, author Kit de Waal takes us back to Birmingham in the 70s, during the time of the IRA pub bombings. While the events of the time are pivotal to the story of the tragedy that unfolds in this book, they occur off to the side, with de Waal, instead, bringing her focus to the personal misfortunes of two characters: 20-something Irish immigrants Mona and William. At first, this is a story of love at first sight, but it soon develops into a A simple but beguiling story. 4.5 stars. In The Trick to Time, author Kit de Waal takes us back to Birmingham in the 70s, during the time of the IRA pub bombings. While the events of the time are pivotal to the story of the tragedy that unfolds in this book, they occur off to the side, with de Waal, instead, bringing her focus to the personal misfortunes of two characters: 20-something Irish immigrants Mona and William. At first, this is a story of love at first sight, but it soon develops into a beautifully tender story of marriage and grief, suffering and long-term devotion. The story is told through Mona in concurrent past and present narratives. In the present day, Mona is turning 60 and living in a seaside town in England. Childless and living alone, she runs a specialised doll-making business, the premise of which is both intriguing and heartrendingly sweet. Without giving too much away, this business helps people who are suffering from loss and eventually hints at the compelling truth of Mona's sad tale. As soon as I read about Mona's endeavors and the manner in which she creates these dolls, I was mesmerised by this book. Lovers of de Waal's debut novel may say Leon is a difficult book to follow but, for me, the impact of this sophomore effort is even greater. When we venture into the past with Mona, we learn about her mother's early death from cancer and the love she had for her father, which held onto her even when she yearned to flee her stifling Wexford hometown. We witness her eventual move to Birmingham and the overwhelming guilt she feels when a shock phone call brings her home again. We see her meet William and delight in her happiness when their relationship develops into something meaningful. But, sadly for Mona, loss is never too far away. The emotional connection I experienced with these characters was intense. De Waal has a major talent in the effortless way she makes you care about the fictional community she creates. Every character in this story has a unique voice and we want to listen to them all: the caring, grieving father, raising his young daughter alone; the busybody relation in Wexford who eventually reveals her truth; the teenage assistant who works in Mona's shop; and, of course, Mona's husband, William, who breaks our heart. The care we have for these characters translates to a genuine fear for their well-being and, subsequently, a gentle suspense, which for me is far more effective than a story reliant on cliff hangers. I needed to know what happened Mona and William, and I needed to know that Mona would be okay, which made it impossible for me to put this book down. I was lucky enough to be given this book to read by Net Galley. It has taken me days to write this review and I am not sure I can do the book justice. A beautiful story that deals with a subject people don’t talk about, the life altering grief that comes with the loss of a baby and the suffering of a still birth. This is Mona’s story but every single character in this book is beautifully drawn and has depth, each one adds a layer to the book that draws you in and creates her well rounded life, t I was lucky enough to be given this book to read by Net Galley. It has taken me days to write this review and I am not sure I can do the book justice. A beautiful story that deals with a subject people don’t talk about, the life altering grief that comes with the loss of a baby and the suffering of a still birth. This is Mona’s story but every single character in this book is beautifully drawn and has depth, each one adds a layer to the book that draws you in and creates her well rounded life, that at first could seem so empty. It's not often that a book makes me cry but The Trick to Time did. A beautifully written story about a love affair remembered by 60 year old Mona who lives alone and works with a local carpenter crafting dolls for women who have suffered the loss of a baby through miscarriage, stillbirth or cot death. Although Mona has friends she is quite solitary and when she begins a relationship with a neighbour, Karl life looks up. But Mona spends much of her time thinking about her first love, her husband, It's not often that a book makes me cry but The Trick to Time did. A beautifully written story about a love affair remembered by 60 year old Mona who lives alone and works with a local carpenter crafting dolls for women who have suffered the loss of a baby through miscarriage, stillbirth or cot death. Although Mona has friends she is quite solitary and when she begins a relationship with a neighbour, Karl life looks up. But Mona spends much of her time thinking about her first love, her husband, William. They both left Ireland for a new life in Birmingham but things go badly wrong on the night of the IRA bombings. The ending of her story is as unexpected as it is uplifting and I loved the portrayal of a strong female character who is able to overcome obstacles against all the odds. Love and loss are the big questions that most of us have to deal with in life which on the one hand makes them universal but of course each love is different as is each loss. Kit de Waal has penned an almost understated story populated by seriously lovely characters devoted to the subject. Mona sits in her flat in London staring at the day dawning when she notices a man in the block across the way from her. He is also awake and looking out, perhaps reaching out to those around him. I wanted to bot Love and loss are the big questions that most of us have to deal with in life which on the one hand makes them universal but of course each love is different as is each loss. Kit de Waal has penned an almost understated story populated by seriously lovely characters devoted to the subject. I wanted to both be friends with Mona and mother her, an odd combination particularly as she celebrates her sixtieth birthday during the course of this book. She’s a doll-maker, real old-fashioned dolls are made from wood by the carpenter and painstakingly painted and dressed by Mona and then sold, often to overseas buyers in Japan and America. Each doll is unique with a similarly unique wardrobe. Mona has a shop too and here she works day in day out with young Joley with her big boots and crop tops assisting her. Twice a year she meets her old friend Val from Birmingham, where Mona lived in the early 70s. Mona also offers a personalised service for bereaved mothers and this is her side-line. Not one that is advertised or has a website like the dolls, but one where people are referred for help when a baby has died. In short Mona is a lovely lady with a big heart and whilst that had probably always been the case, we learn what led her to both professions by going back to the beginning when a young girl crossed the Irish Sea and made a life for herself in Birmingham. Living in a boarding house over time she meets William and so this becomes their story. This is a gentle book which doesn’t mean boring, in fact far from it. The Trick to Time is fearsomely well-written and despite the subject matter it never descends into mawkishness, but rather I was impressed by Mona’s strength, although like her friend Val couldn’t help but feel that perhaps she should put herself first once in a while. The book shifts backwards and forwards in time pulling in the details of Mona’s childhood, her mother’s illness, her father’s steadfastness and the ongoing sense of obligation to her distant relation Bridie. Ireland was too stifling for many youngsters at the time and so they moved to Birmingham where they stayed in boarding houses and missed their homes. Mona’s time in Birmingham is full of colour, of love and telephone calls across the water, but nothing stays the same, the trick to time is making the most of the good times. I loved the setting of this book. How could I not? It’s where I’m from. I loved the familiarity with the area and it really felt like the author knew the area and understood the socio-cultural style of the area. I also loved the Irish aspect of the character. It brought another dimension to the character. But the book itself was just pretty meh. It was slow, it was a bit boring and I couldn’t see where it Thank you to the publishers for providing an ARC of this book through NetGalley. 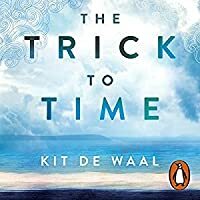 The Trick to Time is my first Kit De Waal novel and I wasn't sure what to expect. But, like any well-written novel, the first time I picked it up, I struggled to put it back down again until I had reached the last full stop. Mona is a dollmaker. Each doll is made to size and weight of her specific customers. But Mona is hiding a dark, heartbreaking, secret from her past. Fantastically written - The Trick to Time will stay with you long after you have reached the final full stop. 4 Stars. I loved Kit de Waal’s writing from the moment I picked up My Name is Leon. Heartfelt, insightful and with a lovely turn of phrase, she’s got a knack for portraying the truth to human life, and so when I saw that The Trick to Time was coming out, I grabbed the ARC copy with much excitement. From the off: this book was completely different to her first. Where My Name is Leon focusses on the struggles of growing up in foster care as a biracial boy, The Trick to Time is all about the story of Mona, a I loved Kit de Waal’s writing from the moment I picked up My Name is Leon. Heartfelt, insightful and with a lovely turn of phrase, she’s got a knack for portraying the truth to human life, and so when I saw that The Trick to Time was coming out, I grabbed the ARC copy with much excitement. From the off: this book was completely different to her first. Where My Name is Leon focusses on the struggles of growing up in foster care as a biracial boy, The Trick to Time is all about the story of Mona, an aging Irish dollmaker who lives in a sleepy English seaside town, who has a close, yet distant, relationship with the local carpenter, and who has an uncanny knack for helping grieving mothers navigate the loss of their stillborn children. But that’s not all to Mona’s story, and gradually the book takes us back in time to Mona’s childhood in Ireland, to life as an Irish immigrant in Birmingham during the IRA bombings of 1972, of falling in love with William, and of the heartbreaking pregnancy that sees her life fall apart afterwards. As each layer is revealed to us, we learn not only more about Mona, but about the people that have shaped her life. Kit de Waal is such an observant writer, and brilliantly evocative: through the lens of William and Mona’s relationship, she writes about love, loss, loneliness and sadness, of the power of memory- and how it impacts you even years later. Though this is very much Mona’s story, de Waal creates a plethora of memorable characters that you grow to care about almost as much as the main character, from William to Karl, the aging man who starts to pursue a relationship with Mona. The whole book is suffused with a kind of poignant longing- regret for the past, maybe- and watching Mona try to open up throughout the novel is really heartbreaking. As a character, she’s easily one of the most memorable I’ve recently read- not just because of how her past and future interlink so seamlessly, but because she’s a strong, fearless heroine who has coped with everything life has thrown at her and more. Though at times she can come across as indecisive and hesitant, she’s also so relatable: she feels like a real person, with a real person’s regrets, life experiences and past. Irish fiction often seems to have a way of getting deep under my skin, right down into my bones where I end up feeling the story in a way that makes it impossible to truly ever let go of. The Trick to Time is such a gem of a novel, so incredibly moving and uniquely insightful. Mona is sixty, lives in a nice apartment with a view, is financially secure, has a successful small business creating unique collectable dolls, and enjoys the company of a group of friends and acquaintances on a regular bas Irish fiction often seems to have a way of getting deep under my skin, right down into my bones where I end up feeling the story in a way that makes it impossible to truly ever let go of. The Trick to Time is such a gem of a novel, so incredibly moving and uniquely insightful. Mona is sixty, lives in a nice apartment with a view, is financially secure, has a successful small business creating unique collectable dolls, and enjoys the company of a group of friends and acquaintances on a regular basis. She also has a gift: she knows the trick to time and teaches it to others. How she developed such an ability and why she teaches it to others is a story that will break your heart. The French windows rattle against the frame and Mona stands up to lock them. 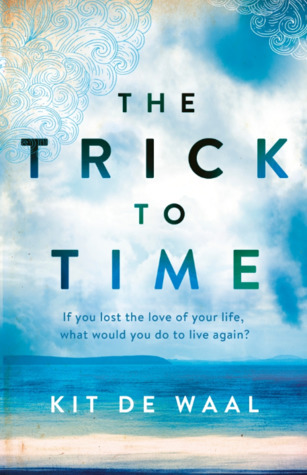 The Trick to Time is a novel about love, hope, loss and grief. It shows how eternal love is, how grief may dim over time but never truly be extinguished. It shows how to live again when all ahead seems lost. Kit de Waal’s words are seemingly infused with magic, her prose filled with the beauty of truth and an insight that will leave you breathless and aching for more. This is a novel where the less you know about the story ahead of reading, the better. You will appreciate it all the more. Kit de Waal’s writing deals with emotionally harrowing themes with a sensitive and delicate touch. This is a sad, sad story of stillbirth and its effect on the people involved. Without any hint of lecturing her audience, she shows how social attitudes to stillbirth and the counselling care available to parents have changed since the 1970s. The two main characters cry out equally for our sympathy - though they handle it very differently, Mona and William’s lives are defined by their experience. M Kit de Waal’s writing deals with emotionally harrowing themes with a sensitive and delicate touch. This is a sad, sad story of stillbirth and its effect on the people involved. Without any hint of lecturing her audience, she shows how social attitudes to stillbirth and the counselling care available to parents have changed since the 1970s. The two main characters cry out equally for our sympathy - though they handle it very differently, Mona and William’s lives are defined by their experience. Mona is such an appealing character - resourceful and resilient for herself, caring and practical for others, she is just the friend anyone would want. Following her journey over half a century was a real pleasure. If there was a downside to the story for me, it would be the character of Karl - the only jarring note in an otherwise truly engaging read. A worthy follow-up to the magnificent achievement of ‘My Name is Leon’, one of my favourite books last year, and highly recommended. Lost for words... wow! I loved this book! For only 260 pages it felt epic! Most of the books I have read recently have felt a little too long. This book however, created its world and characters in such a short amount of pages. Each page was a masterpiece at tugging the heartstrings. So Sentimental and so real and true! Loved this!!! You HAVE TO READ THIS!! One of the best, if not THE best book I have read so far this year! Beautiful!!! I love to find books set in my hometown of Birmingham. This was such an emotionally charged book that will have a lasting effect on me. It deals with love and grief over many years. It slips in time for different eras of Mona's life. The dolls she makes have many secrets to tell. They are wonderful wooden dolls They are from parts of her life. Each doll takes her back to a certain time. 3.5 stars. I became so much more emotionally invested in Mona and her story towards the end of this one. A plot twist (that I honestly did not see coming) is to thank for that. There is definitely 'a trick to time' played here though - so much so that I got a little confused at what was real and what was imagined in the last few pages of the novel. Read this for my in person book club. Interesting exploration of ageing and memory, and very good at describing life behind the veneer of one's public persona. Interesting twist, which it took me a while to get. Kit de Waal was born in Birmingham,England of an Irish mother and an African-Caribbean father and she grew up in the Irish section of Birmingham. She is a dual Irish/British citizen.This is her second novel, her first published in 2016. De Waal worked as a magistrate in family courts for 15 years, experience which informed her first novel. This novel is quite a departure as the first focuses on a biracial boy in foster care. This novel centers on the story of two Irish immigrants, Mona and Willia Kit de Waal was born in Birmingham,England of an Irish mother and an African-Caribbean father and she grew up in the Irish section of Birmingham. She is a dual Irish/British citizen.This is her second novel, her first published in 2016. De Waal worked as a magistrate in family courts for 15 years, experience which informed her first novel. This novel is quite a departure as the first focuses on a biracial boy in foster care. This novel centers on the story of two Irish immigrants, Mona and William, who meet in Ireland and marry. Mona works in a factory and William is a construction worker. Their life is very happy until tragedy strikes. The story moves between past and present to construct the history of Mona and William. Mona lost her mother as an adolescent and was very close to her loving father. Her life in Wexford, however, was limited so she went to England. William was from County Galway, but did not have a happy family life. It is William's past that contributes to their sad future. I received a free copy of this book from Penguin Ireland exchange for an honest review. A young Irish girl meets a young Irish boy as the two of them travel to England to find their fortunes. Predictably, they fall in love but soon a tragedy tears them apart. Over 40 years later, Mona is helping other women overcome their trauma, while still grieving for her own loss. This book is just a wonderful, gentle, and moving novel that honestly just took my break away. I loved how hooked i got into Mona’s I received a free copy of this book from Penguin Ireland exchange for an honest review. This book is just a wonderful, gentle, and moving novel that honestly just took my break away. I loved how hooked i got into Mona’s story, as tragic as it was, and how much I yearned to just gather her, both the young and old versions of her, in my arms to help her and console her. Mona was truly a lovely character who I just felt for a lot, and it was obvious she was someone who could easily connect to people. She was a seriously gentle soul who deserved all the love and kindness the world had to offer her. There are a lot of subtle reveals in this book that seem obvious but the way everything is eventually uncovered just flows really nicely. This is a book that will definitely leave you with some tears in your eyes when you’re finished! I imagine this is one of those books that you would find in a dusty corner of an attic. Truly a hidden gem of a novel. This story carries us through the past and present of Mona’s life journey. I was instantly drawn to Mona, she is such a strong, mature and fierce woman who suffered more than her share of heartbreak. From the start, Karl made the hairs on the back of my neck stand tall, my creep alert radar went off straightaway and I was hoping that it would for Mona as well. William, a true ge I imagine this is one of those books that you would find in a dusty corner of an attic. Truly a hidden gem of a novel. This story carries us through the past and present of Mona’s life journey. I was instantly drawn to Mona, she is such a strong, mature and fierce woman who suffered more than her share of heartbreak. From the start, Karl made the hairs on the back of my neck stand tall, my creep alert radar went off straightaway and I was hoping that it would for Mona as well. William, a true gentleman who was tormented by his pain, tugged at my heartstrings and had me hoping he would find peace. Surprisingly, about halfway through, I was able to guess the “twist” at the end - I normally guess wrong (hence why I avoid mystery novels) so I surprised myself. Through love and loss, I suppose that the trick to time is that memories can make time expand or contract so you can continue to carry love in your heart for those lost, for those changed or for those who are no longer who you thought they were. I really enjoyed Kit de Waal's first book so I was looking forward to reading this one. Although totally different from 'My Name is Leon' the author has a real talent for creating slightly quirky characters that the reader immediately warms to and cares about from the start. Mona is sixty years old. She is a doll maker. Every doll has it's own back story, name, wardrobe and in special cases, weight. We follow Mona from her childhood in Ireland, growing up & moving to the 1970's Birmingham and I really enjoyed Kit de Waal's first book so I was looking forward to reading this one. Mona is sixty years old. She is a doll maker. Every doll has it's own back story, name, wardrobe and in special cases, weight. We follow Mona from her childhood in Ireland, growing up & moving to the 1970's Birmingham and enjoying the buzz of the big city. Enjoying staying in a busy boarding house and falling in love with shy William. Throughout the story we know that there is a tragic event that befell Mona and gradually it is revealed. I was worried Kit de Waal wouldn’t be able to write a book as poignant and moving as ‘My Name is Leon’, but I needn’t have worried. ‘The Trick to Time’ is beautifully written and is the story of Mona, a woman who has just turned sixty and has arrived at a crossroads in her life. The story moves seamlessly from Mona’s past life in Ireland to the Birmingham of the seventies, right up until the present day. The subject matter of child loss is a difficult one (and one I have personal family experien I was worried Kit de Waal wouldn’t be able to write a book as poignant and moving as ‘My Name is Leon’, but I needn’t have worried. ‘The Trick to Time’ is beautifully written and is the story of Mona, a woman who has just turned sixty and has arrived at a crossroads in her life. The story moves seamlessly from Mona’s past life in Ireland to the Birmingham of the seventies, right up until the present day. The subject matter of child loss is a difficult one (and one I have personal family experience of), but in the skilful hands of Kit de Waal it is handled with the sensitivity and tenderness it deserves. Mona’s story is poignant without being overly sentimental and leads to an unexpected denouement that I found incredibly moving. ‘The Trick to Time’ is a beautiful book that may be a difficult read for some. A memorable 4.5 stars. The second novel can always be a difficult one, especially when your first has been hugely successful and critically acclaimed. Many authors fail dismally or its simply just not as good, whilst a very few write a novel that transcends and exceeds. Kit De Waal is, in my opinion, one of the few that has written a novel better than her first. The Trick To Time, is just superb and this is why. Lets start with the main character, Mona. We first meet Mona in a seaside town where she makes and sells woo The second novel can always be a difficult one, especially when your first has been hugely successful and critically acclaimed. Many authors fail dismally or its simply just not as good, whilst a very few write a novel that transcends and exceeds. Kit De Waal is, in my opinion, one of the few that has written a novel better than her first. The Trick To Time, is just superb and this is why. Lets start with the main character, Mona. We first meet Mona in a seaside town where she makes and sells wooden dolls in her small shop. Approaching sixty she is without a husband and even with a small group of friends you can sense that she is lonely. Unable to sleep well at nights she catches glimpses of a man in the flats across from her and a chance meeting sees them spending time together. It unravels a myriad of emotions in Mona as she wonders if this is what she really wants and slowly in flashbacks we learn Mona’s story. We read of Mona’s Irish background, the death of her beloved mother, the closeness between herself and her father, and her escape to Birmingham with the promise of a more exciting life. There is happiness when she meets, falls in love and marries William before tragedy strikes. This is where the story really began and where I had to make sure I had a tissue to hand as I read. De Waal takes us on a veritable emotional rollercoaster. There is love, loss and grief told in a narrative that pulls you in, and really makes you care for these characters, especially Mona. Mona is hardy, strong and incredibly brave with a huge capacity for love, forgiveness and compassion. She is beautifully crafted with so much depth, so many layers that I could not help but feel a huge connection with her, one that I very rarely find in the many novels that I read. I could clearly sense and feel her inner turmoil and anguish and hoped against hope that all would be well. Supporting characters added humour as well as triggered memories. I particularly liked De Waal’s portrayal of the carpenter, the maker of Mona’s dolls. There was something haunting and sorrowful about him, the relationship between Mona and himself always business like until the odd touch or gesture hinted at something more. What made this novel so special was De Waal’s ability to capture the emotion and mental torment of the characters and convey to us, the reader, in a way that was both captivating and poignant. The issues of mental health and grief are treated with a real understanding and sensitivity, the prose never overplayed, striking just the right note. There are some scenes that are incredibly moving and I was in absolute bits towards the end. Don’t let the fact that The Trick To Time is a sad novel put you off, because you will seriously miss out on what is a beautifully written story that will stay with you for a very long time. I have my fingers crossed that it will make the shortlist for the Women’s Prize for Fiction. I was already a big fan of Kit's as My Name is Leon was my book of 2017 so I had high hopes for The Trick To Time and they were absolutely fulfilled. Mona and William begin a life together full of hope and love but after a cataclysmic tragedy, the story is in how Kit reveals their individual histories, burdens and motivations. Kit's writing is lyrical and rich, and like My Name is Leon, the book has incredible emotional punch and characters that linger for days in your mind. Her descriptions of I was already a big fan of Kit's as My Name is Leon was my book of 2017 so I had high hopes for The Trick To Time and they were absolutely fulfilled. Mona and William begin a life together full of hope and love but after a cataclysmic tragedy, the story is in how Kit reveals their individual histories, burdens and motivations. Kit's writing is lyrical and rich, and like My Name is Leon, the book has incredible emotional punch and characters that linger for days in your mind. Her descriptions of place and time and involvement of current events in that period is so clever and so moving. I don't really have the words to explain how the ending made me feel but I literally couldn't move after I finished reading it, I had such a profound sense of grief despite the ending being ambiguous. If you liked Eleanor Oliphant, you'll like this.